A medical marijuana company is planning three Las Vegas Valley locations, with one on the Strip near the Stratosphere. Essence Vegas, a medical marijuana dispensary and treatment facility, plans to open its west location at 5765 W. Tropicana Ave. on Feb. 17. The Strip location at 2307 Las Vegas Boulevard South and the Henderson facility at 4300 E. Sunset Road will open over the next two months. The group will also open its 54,000-square-foot cultivation center this spring. “In addition to the convenience of having three locations in the Las Vegas Valley, our value proposition for all medical patients in Las Vegas is to provide the highest-quality product at a very reasonable price,” Essence CEO Armen Yemenidjian said. Essence aims to help patients with chronic pain, nausea, vomiting glaucoma, epilepsy, psychiatric symptoms and autoimmune diseases. An on-site nurse will advise Essence patients on dosing and best practices. The Strip and West Las Vegas locations will operate 6 a.m. to 10 p.m. daily; the Henderson location will operate 8 a.m. to 8 p.m. daily. Greg Brower, a commercial litigation partner in Snell & Wilmer’s Reno and Las Vegas offices, has been appointed deputy general counsel at the Federal Bureau of Investigation. He will assume his new role in Washington, DC in late February. Brower has more than 20 years of experience as a “first chair” litigator. While at Snell & Wilmer, he was instrumental in the development of the firm’s gaming and white collar criminal litigation practice groups and the expansion of its corporate investigations and administrative law groups. He has also served as an adjunct professor of law at the University of Nevada, Las Vegas’s Boyd School of Law teaching courses in national security law and trial practice. “Greg has served his local community, the state of Nevada and our country with the highest level of integrity and honor, and we wish him our absolute best as he returns to our nation’s capital to serve in this key post with the FBI,” said Matt Feeney, chairman of Snell & Wilmer. Brower joined the firm in 2009 after approximately two years as the U.S. Attorney for the District of Nevada. As Nevada’s chief federal law enforcement officer, he supervised all federal criminal prosecutions and all civil litigation involving the United States in Nevada. During his tenure he personally handled several matters both at trial and in the Ninth Circuit Court of Appeals. 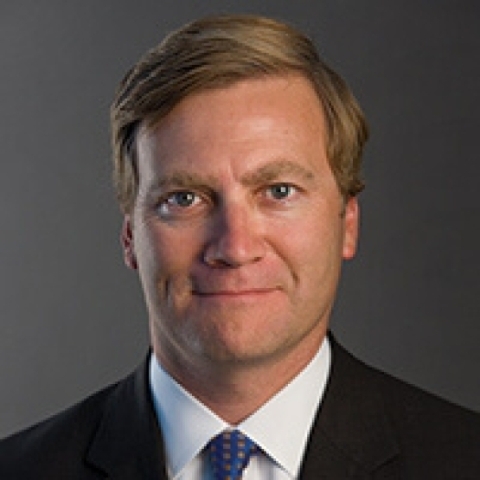 Before his appointment as U.S. Attorney, Brower served in a variety of other senior government posts in Washington, D.C. From 2006 to 2007 he was chief legal officer at the U.S. Government Printing Office, overseeing the agency’s Office of General Counsel. From 2004 to 2006, he served as GPO’s inspector general, supervising all internal audits and investigations. From 2003 to 2004, he served at U.S. Department of Justice headquarters in Washington, D.C.
Snell & Wilmer is a full-service business law firm with more than 400 attorneys practicing in nine locations throughout the western United States and in Mexico. Drybar, a hair blowout salon, plans to launch in Las Vegas this summer — part of a nationwide expansion that will add shops in New York, Seattle, Miami, Toronto and Los Angeles. The company hopes to have 75 locations nationwide by year’s end. Drybar will open locally at the Miracle Mile Shops in Planet Hollywood Resort. The company’s clients include Julia Roberts, Cindy Crawford, Jennifer Garner, Chrissy Teigen, Zooey Deschanel, Emma Roberts, Lana Del Rey and Renee Zellweger. Drybar initially launched exclusively with Sephora in 2013 — and is now at the door of Sephora’s 319 U.S. locations. This fall, Drybar launched its product line in all 117 U.S. Nordstrom stores and 53 Canadian Sephora locations. Drybar also opened its first in-store shop in Nordstrom’s Pacific Centre store in Vancouver, British Columbia. Western Governor’s University Nevada, an online, nonprofit school, is accepting applications for its new online master’s of science in cybersecurity and information assurance. The school developed its program with industry and policy experts and offers coursework aligning with Department of Homeland Security, the Department of Defense and the National Security Agency standards. The program caters to industry professionals experienced in information systems or information technology who plan for a master’s or certification in ethical hacking or computer forensic investigation. The program will cover cyberwarfare, cyberlaw regulations and compliance, security policies and standards, secure network design and secure software design. Students will complete the program online and will be expected to do a final capstone project based on a real-world business problem. As in other WGU programs, cybersecurity master’s students will work and advance at their own pace. Students pay a $3,000 flat fee per six-month term, completing as many courses as they can. Students may enroll on the first of any month during the term. Preferred Public Relations became the agency of record for Las Vegas-based ice cream maker Momenti Spirited Ice Creams. Preferred will handle Momenti’s public relations, special events and promotions. Momenti, a family-owned business, launched in 2013. The company makes ice cream and sorbets infused with distilled spirits and fine wines.